The people within a space are just as important as the design of the space. And the design of a space is representative of the brand inside. So, it would make sense then that an organization would design their facility to be comfortable for employees while reflecting the company itself- the culture, the conversation and the message. 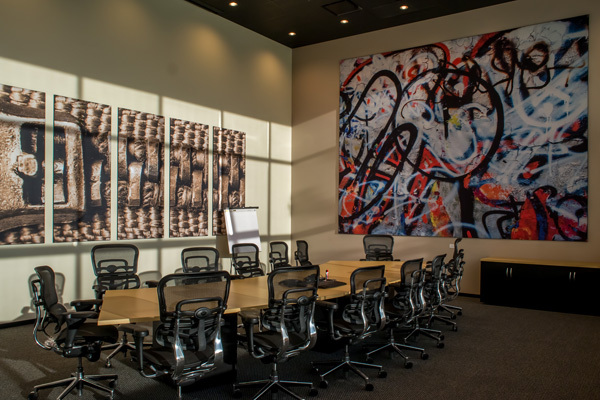 When creating the design for their new space, Fabric Images went all out to ensure that the environment they were creating would accomplish just that. 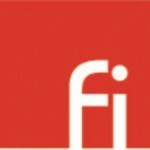 Fabric Images, Inc. is a design-forward manufacturer of printed and non-printed tension fabric architecture. Their untraditional approach to the integration of textiles and aluminum structures into environments has created a benchmark that they challenge others to pursue. 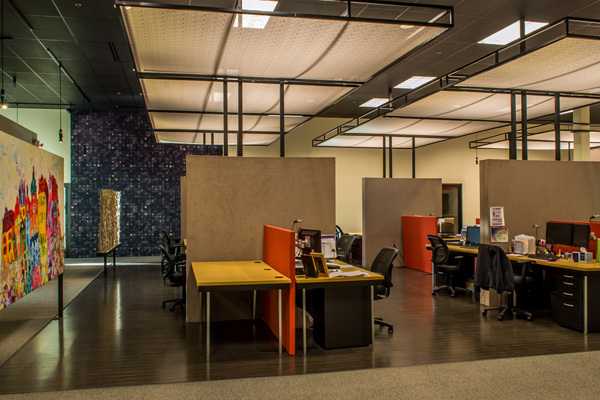 Their corporate headquarters in Elgin, Illinois acts as a showcase for this mentality, inspiring customers and employees on what is possible when tension fabric is integrated within a space. Upon walking into the lobby of Fabric Images, you know you are somewhere remarkable. This is where the experience begins and is the first glimpse into the company’s 180,000 square feet of space. The soaring lobby makes guests feel welcome by offering a concierge experience, complete with fresh coffee and snacks. Large fabric graphics add life that pops with an abundance of natural lighting. However, the statement piece within this space is an element that typically would not draw attention. It is a wall, but not just any wall. This wall is a 17ft tall floating tension fabric solution. In the early stages of designing the space, the general contractor advised against creating a standard constructed wall that ended several feet beneath the drop ceiling. In order for the wall to be the desired height and depth, it would not have been structurally sound going the route of studs and drywall. Not taking no for an answer, Fabric Images took matters into their own hands and designed a structurally stable, engineer-approved alternative. The “floating” wall was created utilizing the Fabric Images’ Groove frame system with a textured Crepe fabric covering. This structure was bolted to the concrete floor for support, and was otherwise unsupported by any additional areas of the building. The wall reflects the strength and ingenuity of the brand and begins to tell the story. Once through the lobby and into the main office space, there is a sense of community. Here, the ceiling is dropped to a comfortable 15ft. The environment has an open floor plan, with areas set aside for work and interaction. 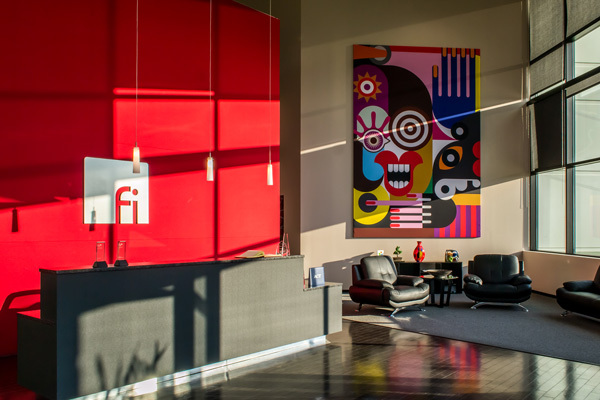 The 4,250 square foot office space joins the company’s culture with their unorthodox approach to fabric architecture. Utilizing their own materials and construction methodology, Fabric Images designed and produced all of the décor within the space, from the partitions to the canopies and even the customized light fixtures. The design has a modern vibe which is made possible through the combination of square aluminum extrusions and trend-sensitive textiles. The floor plan is segmented into departments. Within each department, desks are arranged in quadrants, which are separated by tension fabric partitions. This arrangement allows for efficiency and communication. In preparation for future growth, the quadrants have a modular aspect which allows each half of the space to be easily moved when the need arises. Power to the workstations is sourced from the ceiling and runs down a tube that is integrated into the design of the large wall. This keeps all of the electrical hidden and allows technology to plug directly into outlets on the surface of the fabric wall. Hovering over each work area is a canopy that adds intimacy to the space. The canopies rest 10.5 feet above floor level and are supported off the center wall structure of each quadrant. The structure has a modern / linear design that is left exposed with a black powder coated finish. An open mesh insets into the frame adding a perceived ceiling while still complying with fire regulations. The environment gave Fabric Images an opportunity to demonstrate how to select materials and integrate them in a way that creates an experience. The company looked at their brand culture, their vision and personality, along with what needed to be accomplished within the space. Fabrics were then chosen based on their ability to carry the brand story, while having the aesthetic and functional qualities that were desired. For the lobby’s red wall and the office quad dividers, upholstery fabrics were chosen for their heavier hand and texture. Aesthetically, these textiles offered a high class look and feel. The density of the fabrics was also important as there were areas within the office where conversation and traffic was a concern. Using a heavy pile Chenille and Poly Crepe, aided with sound absorption while offering a unique visual texture. Along with these, four additional materials were shown throughout the space including Celtic, ReLink, Charme and Spider Web Mesh. Adding to the showroom nature of the space, and strengthening the materials conversation, were three strategically placed “touch walls”. 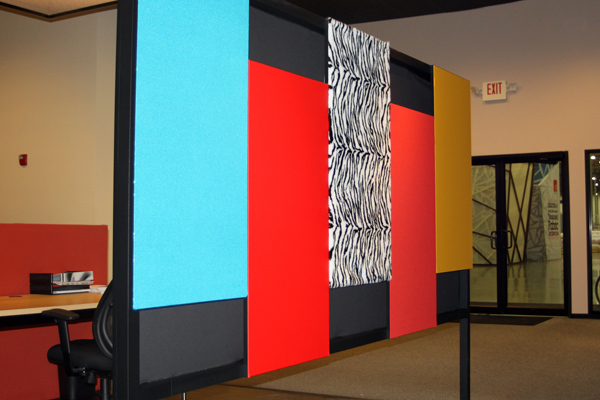 Each touch wall accepts five silicone edge fabrics through a Groove frame. The purpose of these walls is to get people thinking about the various types of textiles that can be used in a larger scale within an environment. A total of 15 fabrics offer a variety of color, texture and style, which changes periodically as new materials are introduced. Style is also carried through the space with the addition of graphics. Throughout the environment powerful imagery is integrated into the wall structures while in other areas graphics are mounted directly on the walls. The bright, vivid colors showcase the precise consistency that Fabric Images offers through their dye sublimation printing. The design of the space reflects the artistic, leading edge and passionate personality that defines Fabric Images. With the integration of textiles throughout the environment they were able to tell their story in an unorthodox way, relying on the personalities of the textiles and their critical placement within the space. The textiles chosen offer textures and create dimension within the space, offering both functionality and aesthetics. The space is a living presentation showcasing the effect that fabric architecture offers within an office environment.